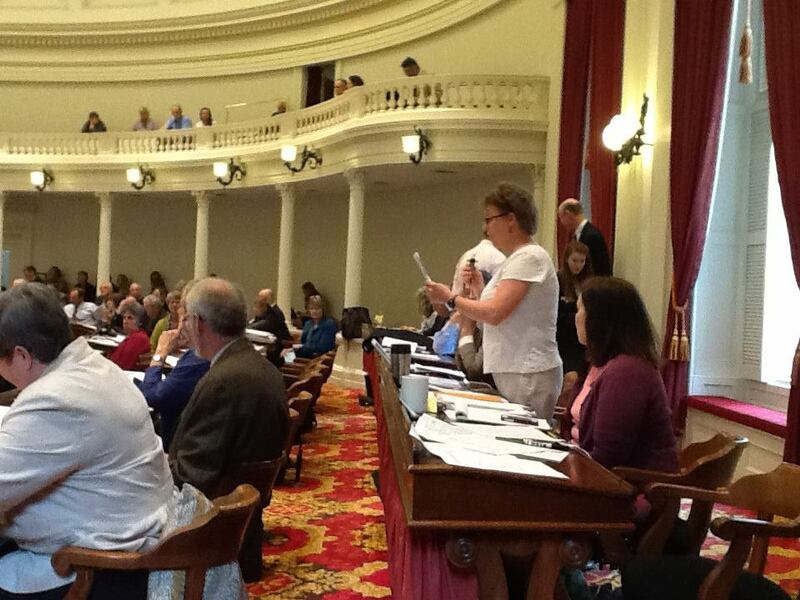 The Vermont House of Representatives has approved the H.112 GMO labeling bill by a vote of 99 – 42. The final vote followed Thursday’s first vote by the Vermont House which was passed 107-37 to advance the bill. The vote marks the furthest any such legislation has moved in the United States. House bill H.112 was ushered onto the floor with the support of the House Agriculture and Judiciary committees. The bill will now land on senators’ desks in 2014 for the second half of the legislative biennium, which gives Vermont the chance to become the first US state to require GMO labeling by law. Rep. William Lippert, chairman of the Vermont Judiciary Committee, told his colleagues on Tuesday that the public interest in labeling is worth the risk of attracting a lawsuit from the food or biotech industries. While no states have yet passed such GMO labeling legislation, more than 60 countries around the world have. I am extending my thanks to the VT politicians who are showing common sense and are obviously working for the interests of their constituents. Best of health to them and all people in the US whose welfare and health depends on sensible political decisions. Vermont, thank you for putting people first above politics.